Professional victories for Leicester and Arsenal on Saturday put the pressure on Spurs and Manchester City to keep pace at the top in their respective fixtures on Sunday. However, the Lilywhites were the only team that could rise to the challenge, effectively winning their game against Bournemouth in the first half and cruising to a 3-0 win, taking their goal difference to an impressive +32. 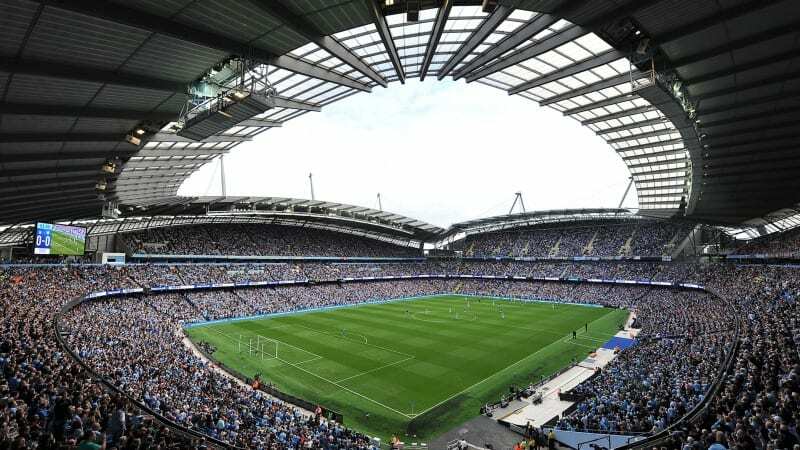 The Citizens, in contrast, slipped to a 0-1 home defeat against their fierce Manchester rivals, leaving City 16th in the form table, with four defeats in their past six matches, and surely out of the title race. As they so often do, City looked shaky at the back without Vincent Kompany, and Martin Demichelis put in another shocking performance. He was flat-footed on the edge of the area, allowing United teenager Marcus Rashford to glide past him and slot home the only goal of the game. Demichelis then clattered Rashford in the area for what should have been a United penalty, but referee Michael Oliver waved play on. The Argentinian completed a miserable afternoon’s work by selling Joe Hart short with a back pass, forcing him to rush out to clear and in the process injuring his calf. Raheem Sterling had already hobbled off with a groin injury and both players are expected to be out for at least a month. Despite Man City having 26 attempts on goal, only three were on target, although Sergio Aguero did manage to hit the post. In fact, United looked more dangerous having more shots on target (four) from just five efforts. City are now 15 points behind Leicester, 10 behind Spurs and four behind Arsenal and although it’s been the most unpredictable Premier League season yet, I can’t see all three teams capitulating with only seven or eight games to go. When it was announced that Pep Guardiola would take over at the Etihad at the end of the season, City were second in the league and I felt at the time the announcement was a foolish move. The idea behind such a gambit is to attract the attention of the world’s top talent in the hopes of landing some in the summer. The overwhelming drawback is that it undermines the current manager, and I don’t know why you would risk the current campaign to gain a potential advantage in the transfer market next season. Meanwhile, things are finally looking up for Man United as 18 year-old sensation Rashford now has 5 goals in 8 games. The derby win moves United to within one point of City in fourth. The Manchester rivals aren’t the only teams fighting for Champions League football this year, however. West Ham are really putting the cat among the pigeons. The Hammers are level on points with Man United and are in better league form than both Manchester clubs – unbeaten in five games. More importantly, West Ham have been playing the best football of the three, lately. Even in this most unpredictable of seasons, it’s now hard to see the title end up anywhere other than Leicester or North London; meanwhile Pep Guardiola may be managing in the Europa League next season.